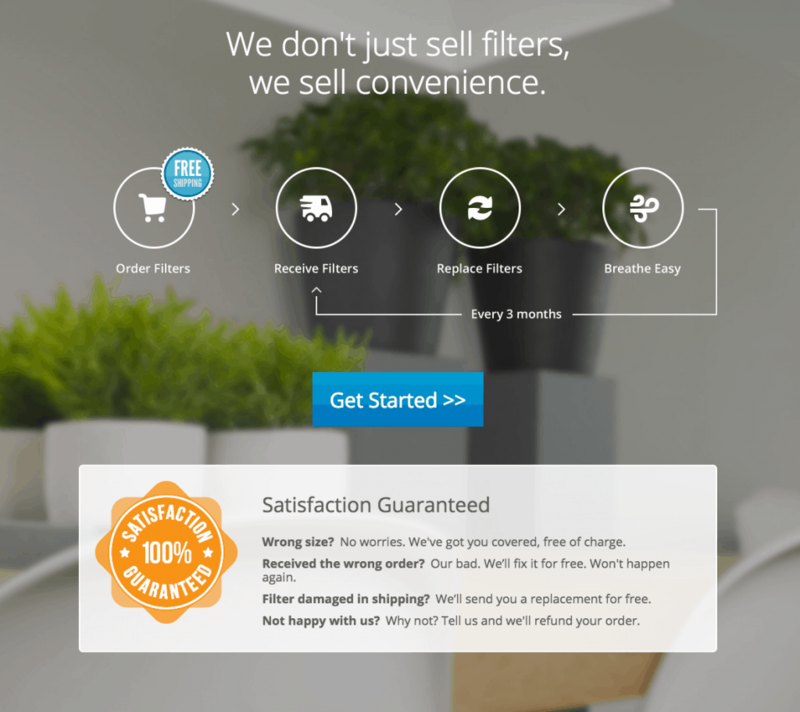 FilterSnap is a great product delivery service that provides air conditioning units every few months straight to your home! I was excited to do a FilterSnap review because of my horrible allergies. I received this product for free to share with all of you, but I can promise you an honest review which definitely helps with our frugal living lifestyle! I just received my first delivery a few weeks ago from FilterSnap. I immediately went into my basement and switched out our filters. We were previously using a washable one that we hadn’t every washed out. Isn’t that terrible! I am a terrible allergy sufferer this year. I have already received bronchitis twice and even laryngitis. My allergies are seasonal but it feels like every single season there is something new in the air wanting to bother me. I can’t tell you how well the new filter is helping with my allergies, but I can tell you how convenient it is to know I am going to be getting a new one in the mail every few months. Just saving a trip to the hardware store with two kids makes it worth it. I never remember when it is time to replace the filter. So getting a new one in the mail makes it easy to remember and is such a nice hint to even have my husband go and replace it! 1. Satisfaction guaranteed: “Wrong size? No worries. We’ve got you covered, free of charge. Received the wrong order? Our bad. We’ll fix it for free. Won’t happen again. Filter damaged in shipping? We’ll send you a replacement for free. 2. Affordable! The filters or my size air range from only $14-$22 which is about the same price that I would find at the store! 3. Save you money! Not changing your air filter enough could raise your air-conditioning/electric bill. So being able to make sure that you have a good filter that isn’t filled will help you save money on your bills. I have to tell my husband about this, living in Florida we go through air filters like crazy! Are you from Kansas City? Kansas City Sign Up Click Here. I am a wife, mommy, teacher, and shopper! I love sharing my adventures in saving money, deals I find, travel experiences, and reviews. I am goofy. I am a geek. I LOVE being silly and having fun! Feel free to contact me with any fun deals, brand sponsorship, or just to say, “Hi”! Contact me at enza (at) enzasbargains (dot) com!